We eat a lot of yoghurt, and for a long time we bought only one brand: biodynamic, organic, raw milk yoghurt that was pretty expensive and often out of stock. Still, it was good food, and was the only yoghurt my youngest could eat without getting horribly, disgustingly sick all over the floor, so we bought it. A little while ago, we went to visit a small farm in Port Alberni, and she showed us how she makes yoghurt. I had made yoghurt before, but it had never really worked out that well, and I left the farm determined to try again. We bought the brand of yoghurt she was using as a starter, and gave it a go, and it was.. easy. Simple. barely any work at all, besides making sure the milk didn’t burn. And less than half the price of store-yoghurt. I don’t use a thermometer, I just eyeball the amount of steam coming off (optimal level: Pretty Steamy but not boiling), then I cool the milk down by a combination of waiting and pouring it between two containers. I cool it until I can comfortably hold my finger in the milk for a solid count of 10. I don’t measure how much starter yoghurt I use, either. I just smear it around the insides of the jars until there’s a light coating. 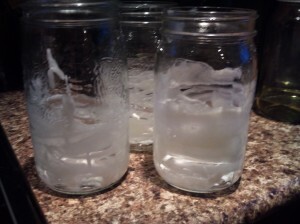 Yoghurt grows from the outsides in, I learned, so putting culture on the jars seemed to make sense. 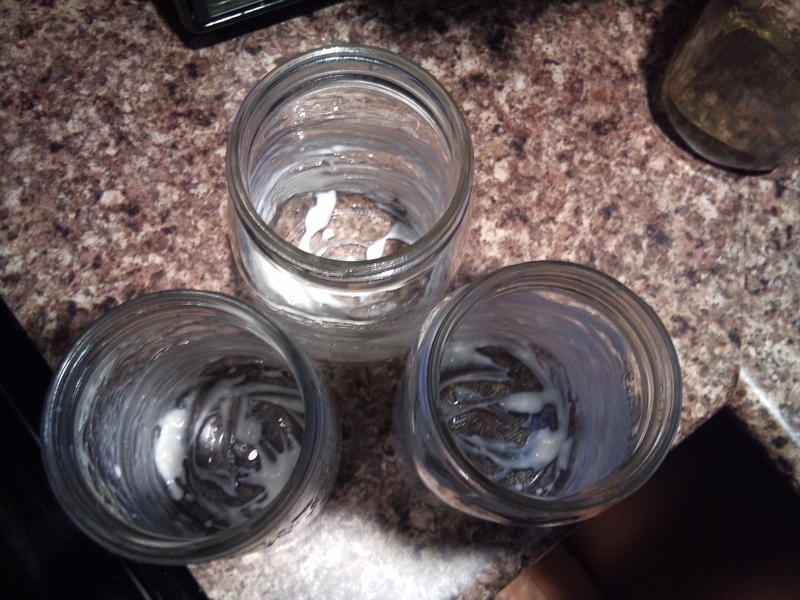 I pour the warm milk into the jars, then put it into the microwave to set overnight. To keep it warm, I add three mason jars of boiling water, covered. It seems to work best when there’s something cooking on the stove overnight, too, because our microwave is over the stove, but it’s not essential. Is there a conspiracy to keep us buying expensive yoghurt, when it’s so easy and cheap to make? I’m not sure, but I doubt I’ll ever go back to buying store yoghurt. Conventional organic, which seems to work for my youngest now. The yoghurt we use to start it is (I think?) Astro organic, which advertises 1 bazillion active cultures, or something like that. We reserve our raw milk for drinking, because yoghurting it requires scalding, which removes some of the benefit.. plus, $$! Hi Erin…I meant to reply to this sooner, but I’ve made tons of raw milk yogurt. 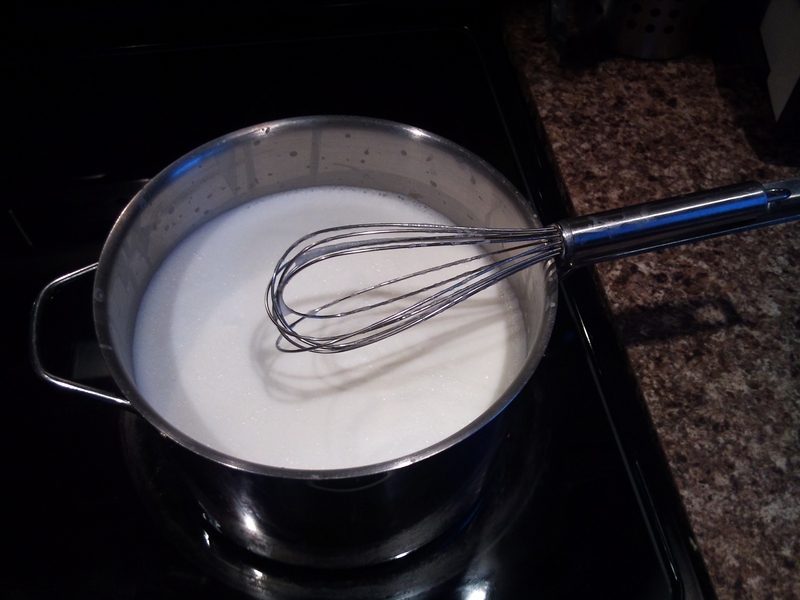 I don’t ever scald the milk – because as you said it removes some of the benefit – and it always turned out perfectly. Oh, thanks! We may come into a bit more raw milk, in the next little while, so it would be nice to not have to scald it. 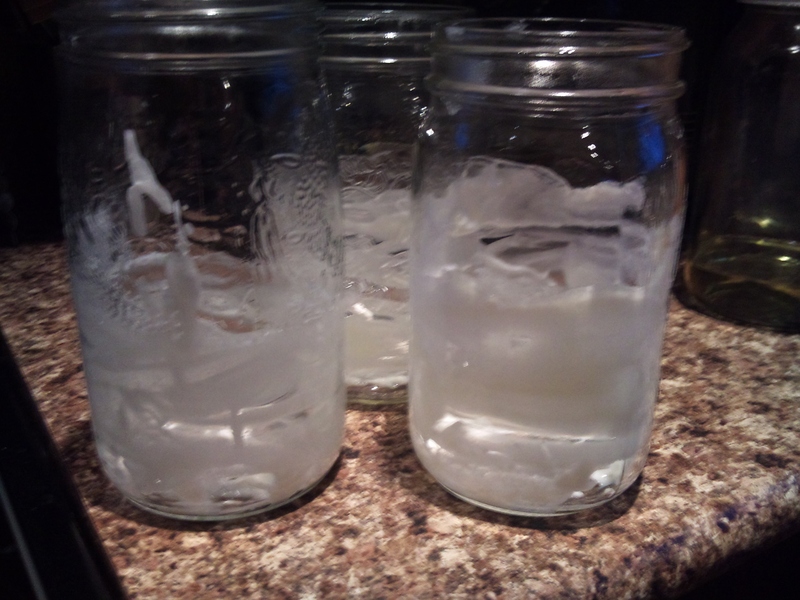 Here’s the link on Nourished Kitchen on how she does it…she heats the milk only to 110F…:) good luck! Thanks! Time to get a yoghurt thermometer, I think, instead of just eyeballing the steam. In what I’ve learned about yoghurt (which is limited), if one doesn’t keep going back to the starter then within a few generations the yoghurt colonies will evolve into a different kind of yoghurt based on the dominent forms of bacteria in the immediate environment. It’s usually still good, but it’s rarely as solid and creamy as the original. We’re using Saugreen’s as a starter, now, and it’s turning out even better. I wonder if the yoghurt you were making in France was the dominent strain of the area, meaning that the yoghurt wouldn’t transition anywhere? Interesting!